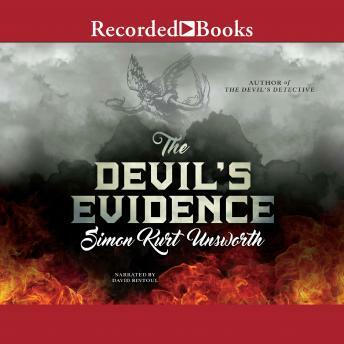 Murder in the land of God sends the devil's detective to heaven Thomas Fool-the resilient investigator doomed to catalog Hell's atrocities in Simon Kurt Unsworth's stunning debut, The Devil's Detective-is back. The man with no memory of who he was or what led to his damnation is now in command of the Information Office of Hell. This power has only inspired new, deadly enemies like Mr. Tap, the cunning leader of a shadowy organization known as the Evidence. Fool alone has survived the wrath of both demon and angel, and now he faces his most thrilling and complex challenge. Troubling and deadly fires are spreading throughout Hell, and it is Fool's job to sift the ashes and find their source. The clues he finds are mysterious and unsettling, implying something different from the usual litany of cruelty he sees. But one fact is the most disconcerting: the fires have left his masters at the Bureaucracy terrified. In the midst of the chaos, Fool is sent to accompany a political delegation to Heaven. It is unprecedented for a condemned human to enter the land of the elevated, but Fool is protected as one of Hell's own. When his arrival coincides with the discovery of an impossible murder, he faces a catastrophic paradox. Violence, corruption, and fear are Hell's currency; how does one investigate evil where those concepts cannot exist? Impossible or not, the killings are real, and the evidence leads Fool deep into the contradictions of a visionary landscape, where danger can present itself in any form, and to the heart of a conspiracy with the power to upset the balance of Heaven and Hell. The Devil's Evidence is an exotic crime thriller as exhilarating as anything in recent fiction. It is a provocative novel of horror, filled with sharp twists and propulsive action that will keep you riveted until the end.